By Hydro Prokav Pumps (India) Pvt. Ltd. based in Sidco, INDIA. Fluids Handled - Pumping Molasses, Other Liquid Animal Feeds. Pumps with both vacuum and pressure up to 3 bar (43 PSI). Samson Pumps is the leading supplier of liquid ring pumps and system components for: Processing of live fish aboard trawlers and at seawater farms. Processing of fish produced for industry. Processing of fish waste. Processing of fish feed. Trimming of fish. 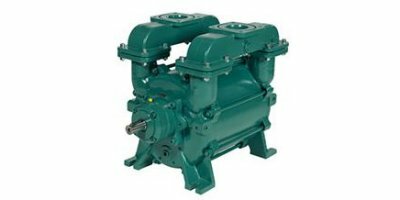 By Samson Pumps A/S based in Viborg, DENMARK. By DESMI A/S based in Noerresundby, DENMARK. By Cycle Stop Valves, Inc. based in Lubbock, TEXAS (USA). By Landustrie Sneek BV based in Sneek, NETHERLANDS. Our agricultural water screen services include custom traveling water screen design and installation. We are one of the leading traveling water screen suppliers worldwide. Our screen solutions solve debris removal from canals, aqueducts, rivers and more. Pumps and pipeline efficiency can be drastically improved to save you time and money. By International Water Screens based in Bakersfield, CALIFORNIA (USA). HYDROFLO is a powerful software tool that assists piping system designers in the modeling and analysis of pumped and gravity flow piping systems. These systems are commonly found in industrial process, water supply, wastewater treatment, fire protection, chemical process, mine de-watering, irrigation and HVAC applications among others. Used with PumpBase a complete fluid transport system with an optimal pump selection can be designed. By Tahoe Design Software based in Nevada City, CALIFORNIA (USA). By Enfound Enterprise Co., Ltd. based in Taipei, TAIWAN. By Mazzei Injector Company, LLC based in Bakersfield, CALIFORNIA (USA). By Nordevco Associates Ltd. based in Winnipeg, MANITOBA (CANADA).